Senior people somehow find it difficult to meet, rediscover love, especially when turning 50. Divorces, break ups, desire to change things in life – these things may happen to all of us. However, when being in their thirties and even forties singles still find courage and inner strength to reach out to other locals nearby, chat, flirt, fall in love and catch that second wind of love kicking back in. In the meantime, when close to 50s many lose faith in themselves, thinking they’re no more attractive, interesting to talk to, and having zero chances to find a partner at such age. That’s why there’re so many lonely people in their early sixties and even late fifties. It’s not that they’ve chosen to, it’s just they’ve lost any hope in finding love. SeniorPeopleMeet.com is one of the sites like Tinder and Cupid designed especially to meet the needs of elderly date seekers. For as long as your heart desires romance and relationships, age is irrelevant. Love all ages yields surrender, as them smart men say! Being a popular platform for senior adults to chat, find friends and date, at the site you’ll find thousands of lonely people 50+ looking for a nice conversation with a like-minded person, strike up a flirty conversation and not being distracted by any youngsters. 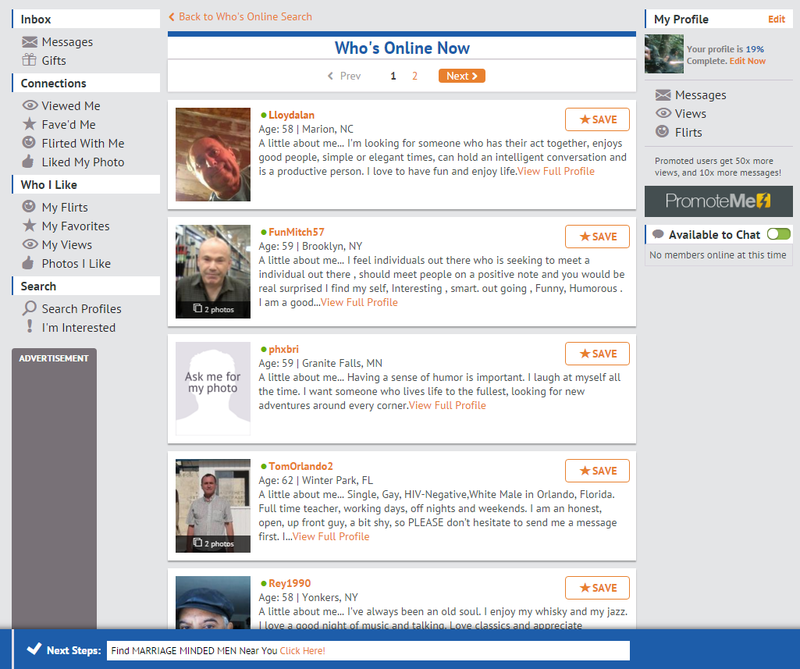 Why choose SeniorPeopleMeet login page over a personal account at Badoo or other dating site of the sort? Because despite the fact dating sites welcome people despite their age, there’re lots of young adults and even college students looking to hook up, which is a distraction when you’re focused on senior auditorium. Plus, website design and interface might be to complex and overloaded with unnecessary features and stylistic extravaganza, which doesn’t please an eye of senior internet users. As you see, the website is built in a rather neutral style with eye-pleasing and smoothing colors. Fonts are easy-to-read and all the necessary information about singles is within a couple of clicks’ reach. Access to search toolbar and advanced features are conveniently fitted into a plain layout which doesn’t distract from the main purpose of your stay – find senior people in your area and chat. 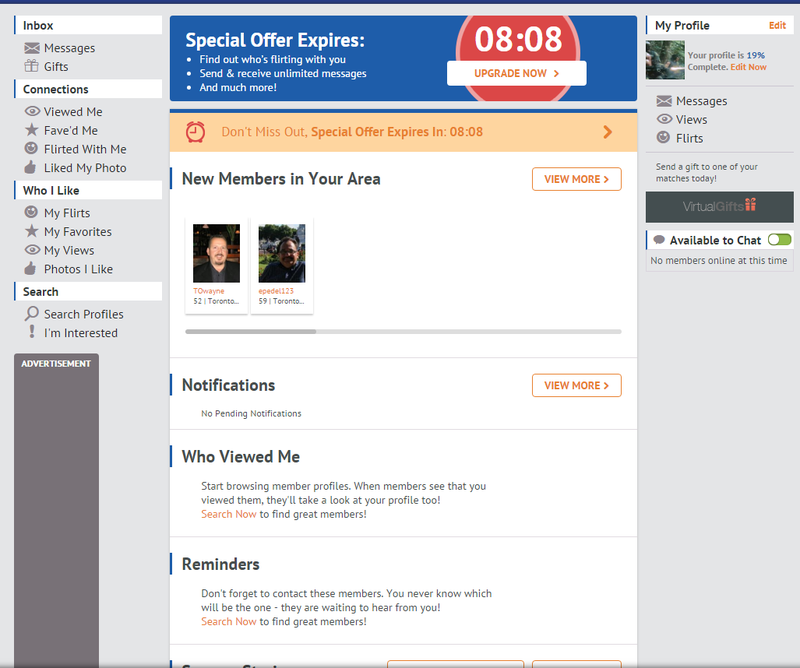 Although getting a SeniorPeopleMeet login access is free, so are many site features, at one point you’ll come to realize you’d like to use some of the features available for members with a Value Plan. As seen from the screenshot below, there’re a couple of affordable options available. What they do once obtained is grant you more opportunities to browse personals, receive richer statistics regarding your profile popularity and views, as well as help keep your account ratings high in search. As a member with a free trial access to this quality dating site for seniors, you’ll be limited with functions and have less room for romantic maneuver when things with a person get on a serious level. 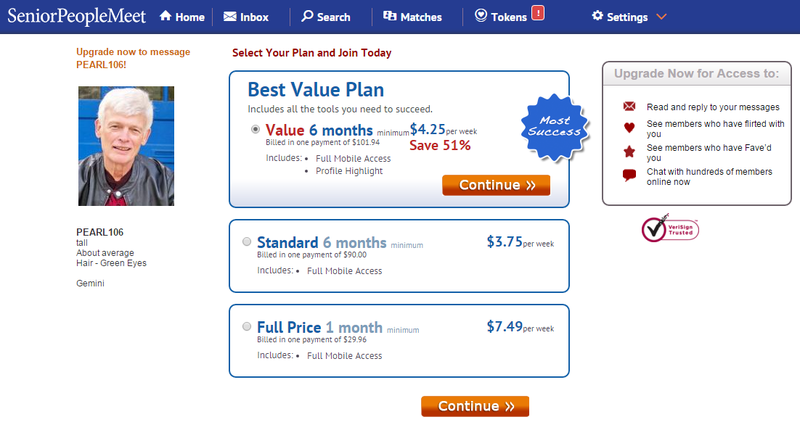 Just like at Tinder, eHarmony, Badoo and Chemistry.com members with a Value Plan enjoy more popularity and profile views than free users. In addition, you won’t be shown any ads and sent messages from promo accounts. Websites got to pay their bills too, you know! Application by Senior People Meet reviews high in press. Since even the grandma owns a smartphone these days, people in their fifties are believed to be strong users of mobile internet too. That’s why developers rolled out a pretty good looking dating application for your iOS or Android powered device. Download it for free now and use anytime you’re not at home or in the office. Dating life never stops, you know! If a contact you feel like entering into romantic relationships with asks you to grab coffee during lunch, you definitely don’t want to miss on such glorious opportunity! Turned 50 and staying lonely? Age isn’t a dating verdict! Why giving up on your personal life, even if you’re fifty or elder? Went thought a divorce? Younger girlfriend swapped you for a teenager gigolo with holes in his pockets? 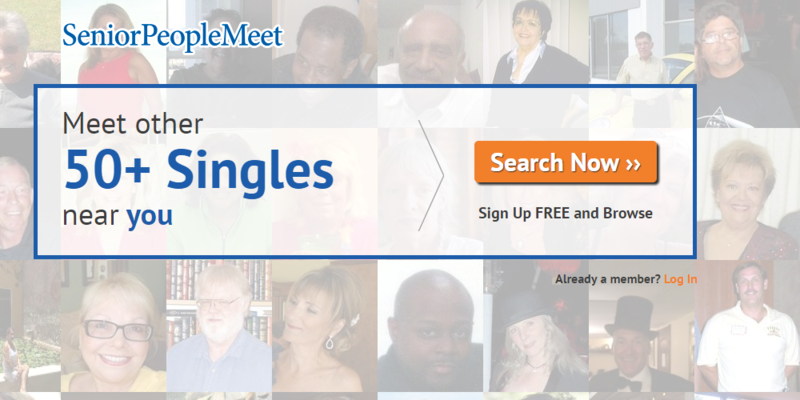 Try your chances at Seniorpeoplemeet.com with thousands of other senior romance seekers, many from your area or nearby locations! Internet doesn’t care how old are you, there’s always the special someone waiting for you, ready to chat and spend quality time together. The site isn’t perfect, search system sometimes can’t figure out person’s exact location, mobile application is known to shut down spontaneously and now there’s ongoing dispute whether promotional accounts should be considered scam or just the site trying to connect the dots with their finances. But when all’s said and done, Senior People Meet does its job pretty well – it lets you reach out to like-minded people of your age and feel what it’s like to be loved, wanted and desired once again. Get an account at the site without moment’s hesitation, investing a little money in the process will guard you from any events rumors speculate about online.